Stars in Andromeda's halo. Hubble Space Telescope (HST) image showing the halo of the Andromeda Galaxy. The halo is a large sphere of mostly dark matter, with a few stars, that surrounds a galaxy. Andromeda, the nearest large galaxy to our own, is located 2.5 million light years away in the constellation of the same name. 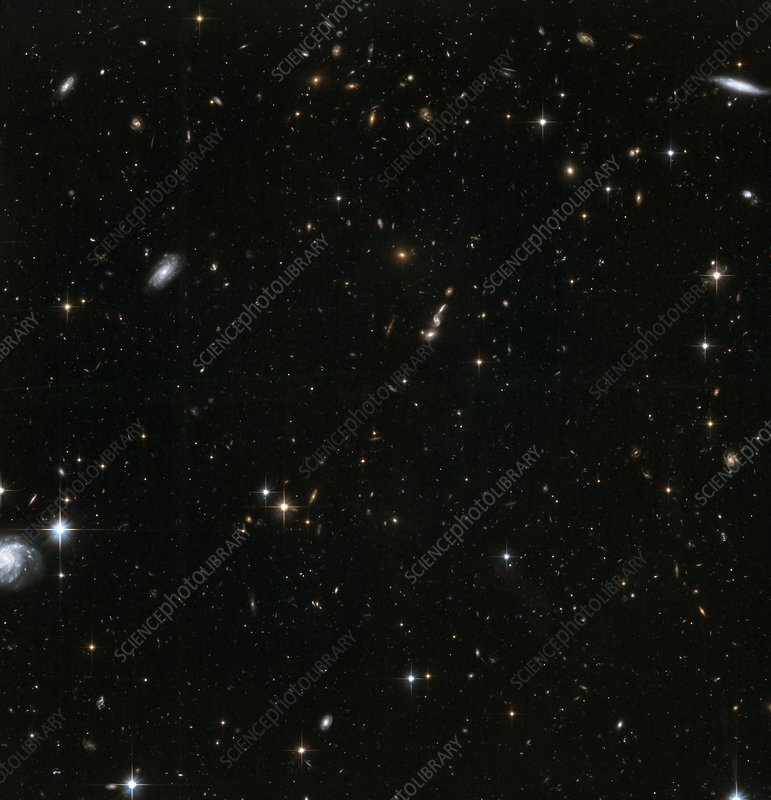 Hubble's position above the distorting effect of the atmosphere, combined with the galaxy's relative proximity, means that the galaxy can be resolved into individual stars, rather than the cloudy white wisps usually seen in observations of galaxies. Image obtained by the Advanced Camera for Surveys.